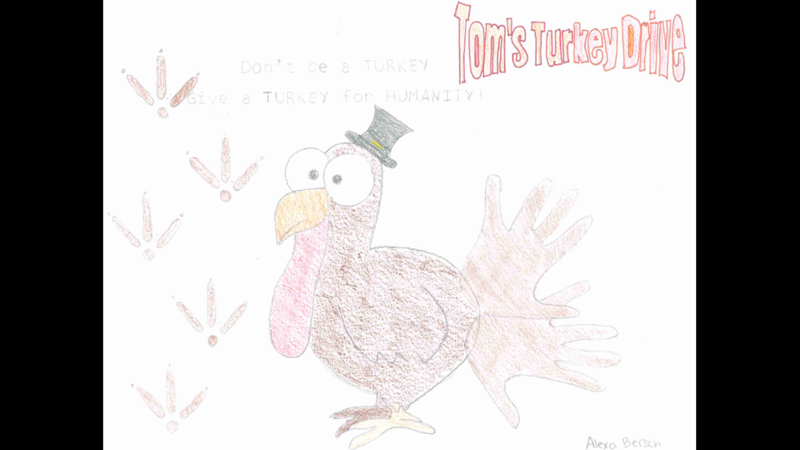 Contest period ends Friday, October 19! 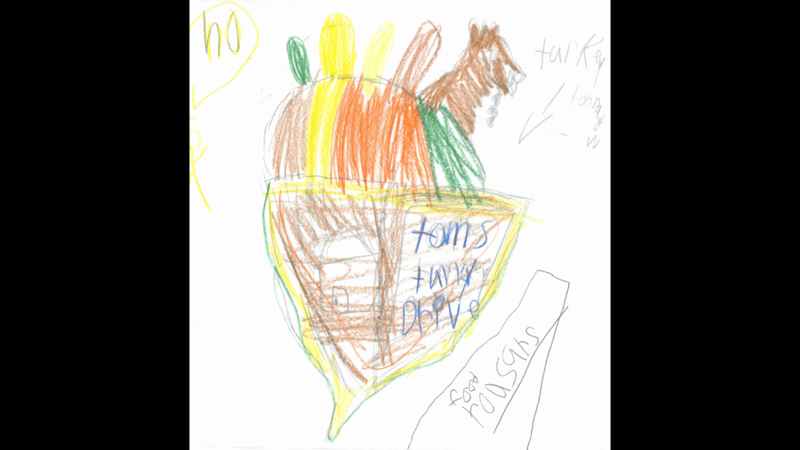 Kids….sharpen those pencils and crayons! 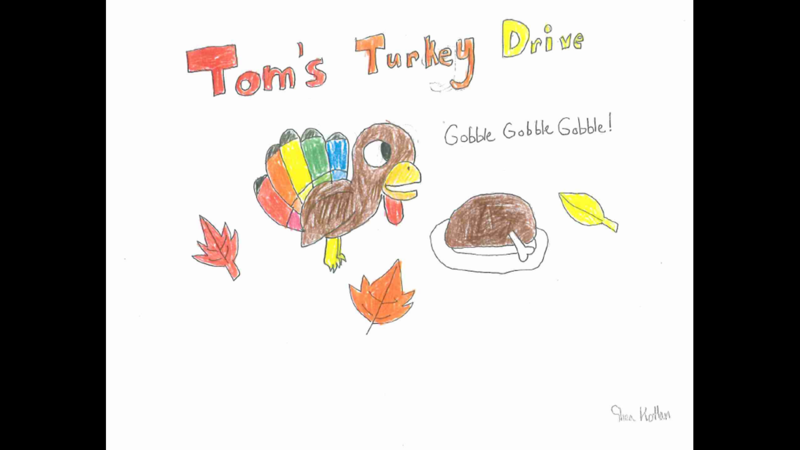 It’s time for Tom’s Turkey Drive T-Shirt Contest. 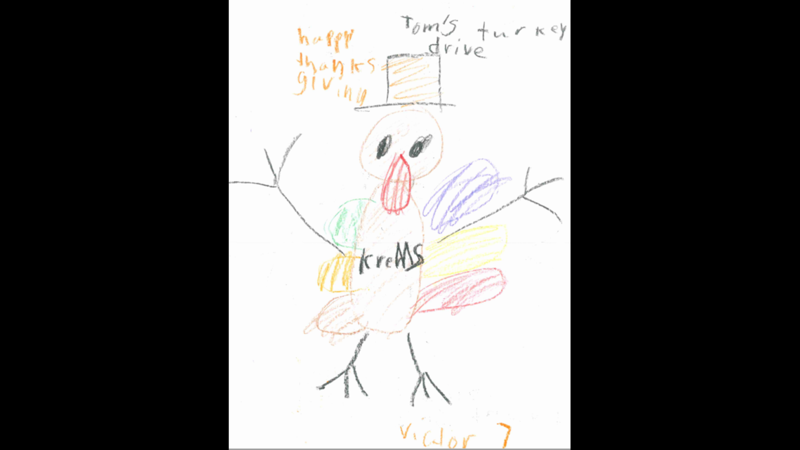 Numerica and KREM 2 want to see your t-shirt entries. It’s easy to do. 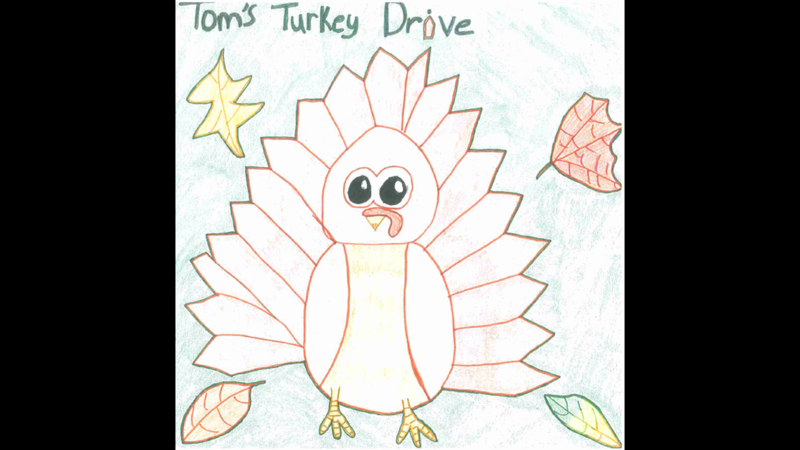 We want to see your best fall-inspired drawing that we can use as a Tom’s Turkey Drive logo. Have your mom and dad read the rules. 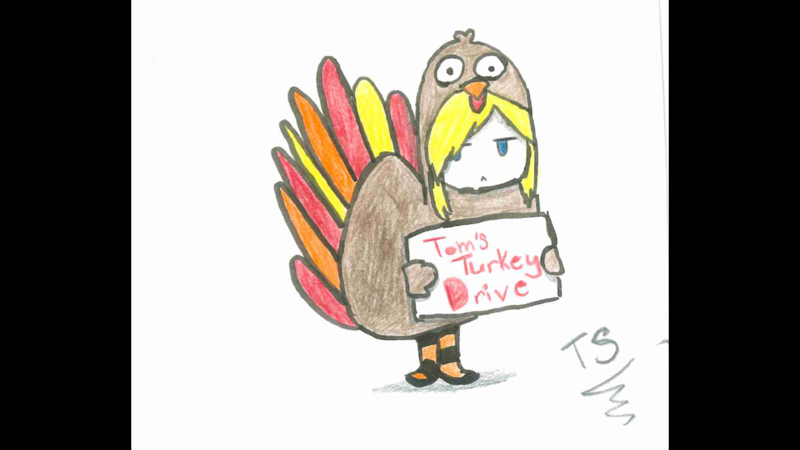 Just remember that we want something that makes people think of Tom’s Turkey Drive, fall, and the Inland Northwest. 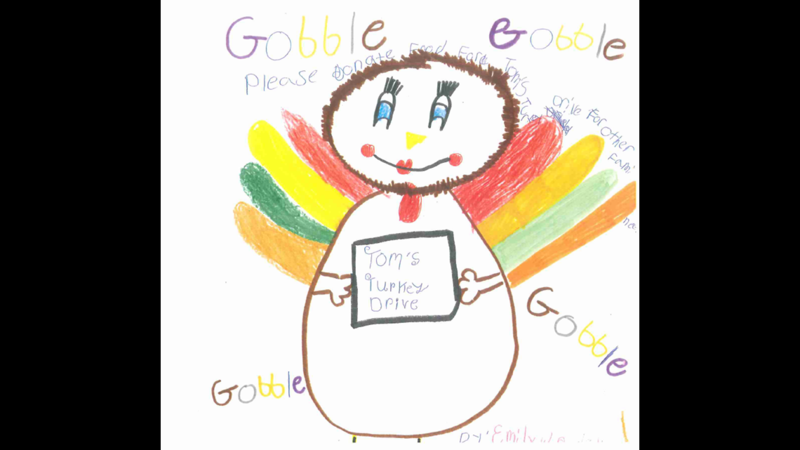 If your drawing is picked it will be on the Tom’s Turkey Drive volunteer t-shirt worn during Tom’s Turkey Drive on November 16th & 17th. 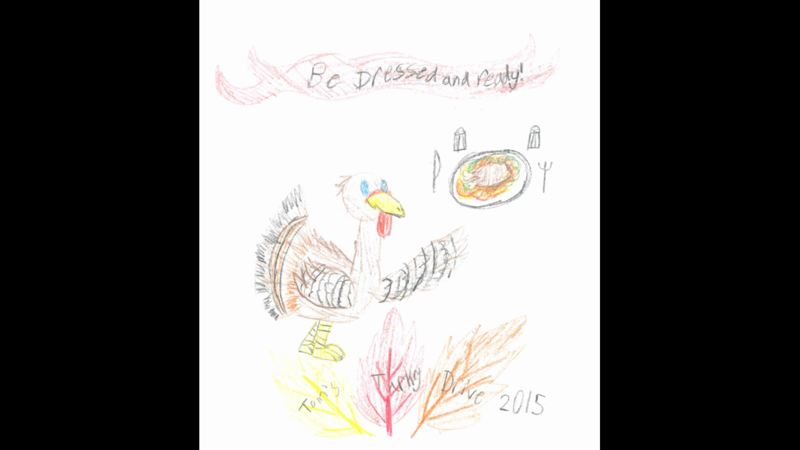 All entries must be delivered to a Numerica branch or mailed to KREM 2 at 4103 S. Regal, Spokane, WA 99223. Eligibility. 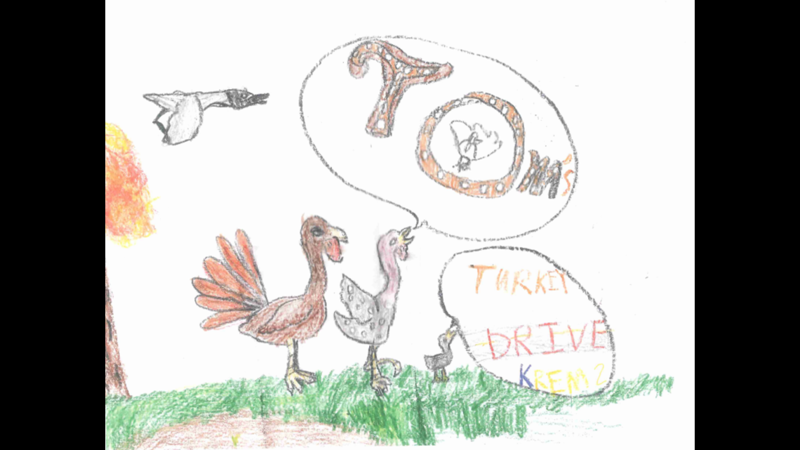 Subject to the additional restrictions below, the Tom’s Turkey Drive T-Shirt Contest (the “Contest”) is open to residents of Washington and Idaho who are 18 years or younger at the time of entry. Those under 18 must have permission of parent or legal guardian to enter. Employees of Numerica Credit Union (“Sponsor”), KREM (“Administrator”), and each of their respective affiliated companies, and advertising and promotional agencies, and the immediate family members of, and any persons domiciled with, any such employees, are not eligible to enter or to win. How to Enter. The Contest will begin at 12:01 a.m. (PT) on September 17th, 2018 and end at 5:00 p.m. (PT) on October 19th, 2018. 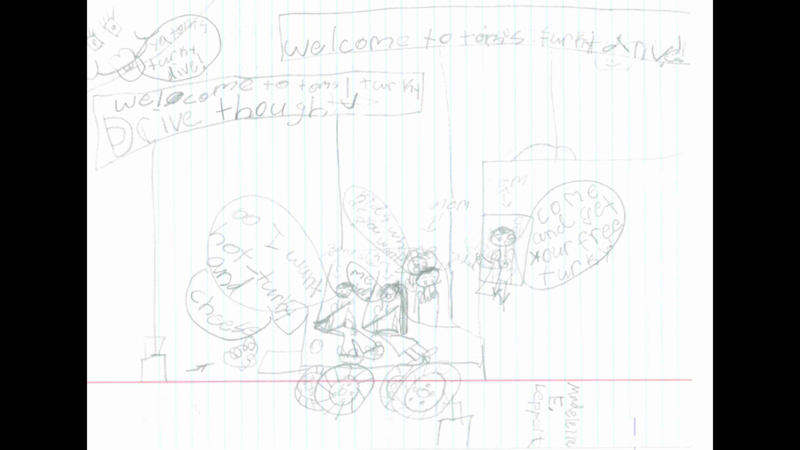 (the “Contest Period”). 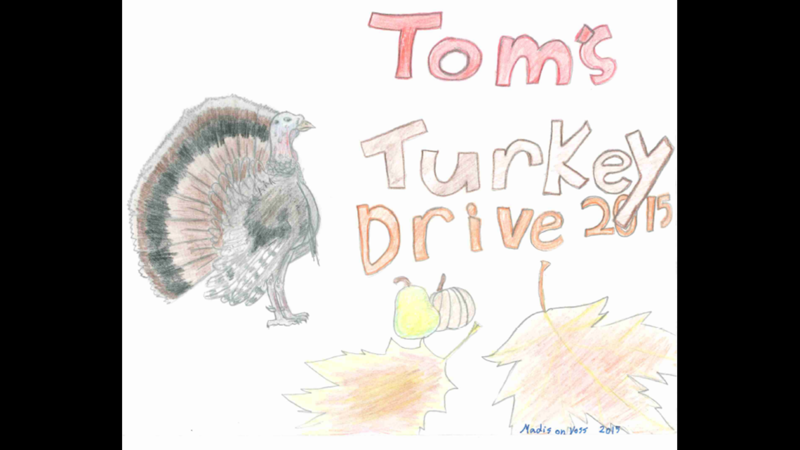 During the Contest Period anyone 18 years of age or younger may submit his or her design for this year’s “Toms Turkey Drive” t-shirts. 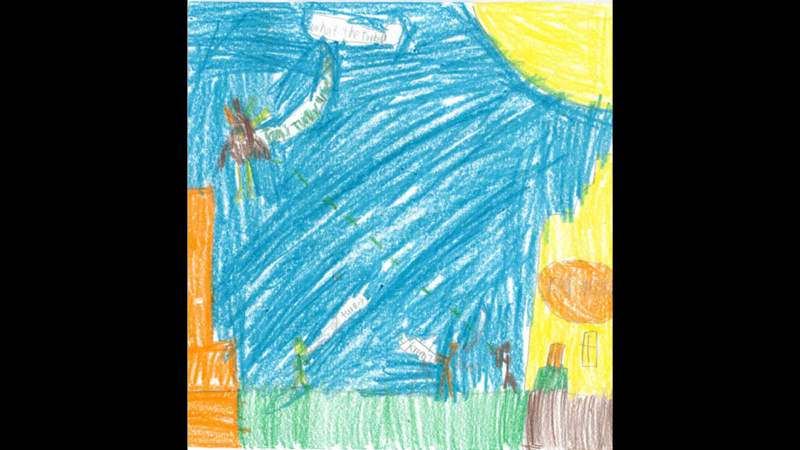 Design submissions must be 12” x 12” (preferred) or smaller and may be done with pencil, pen, colored pencils, markers, crayons, paint or photographs. 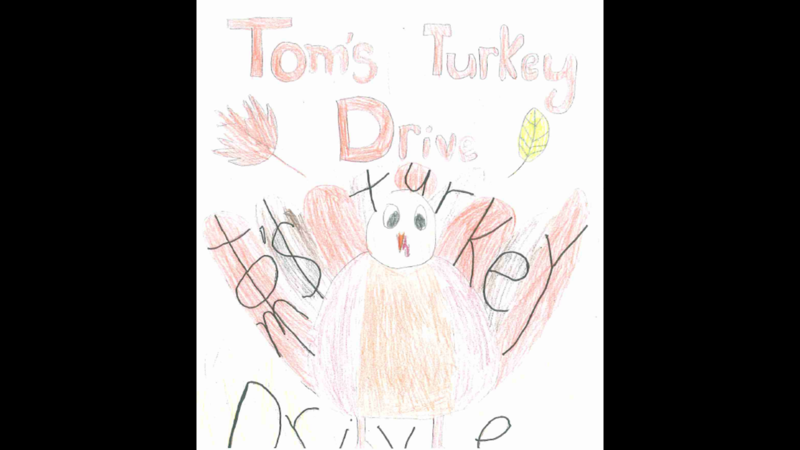 The design should include fall colors and must include the words, “Tom’s Turkey Drive.” Entry designs must be accompanied by a Cover Letter. The cover letter must include child’s age, parent or guardian’s name and child’s name, phone number, City, State and email address. 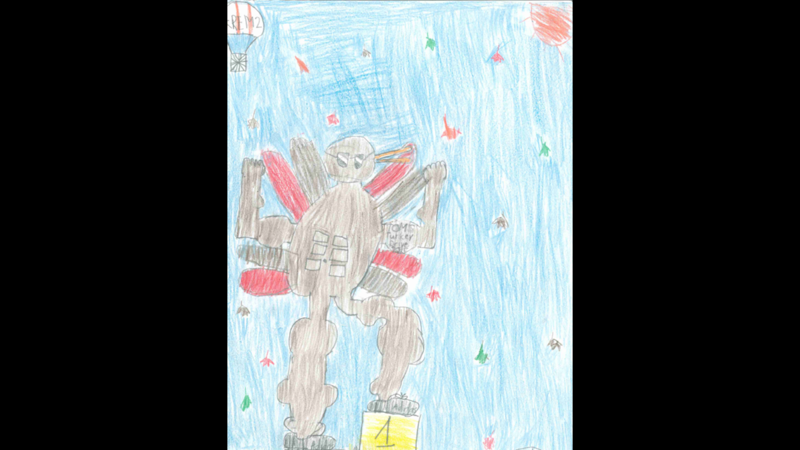 This contest cannot be entered online. 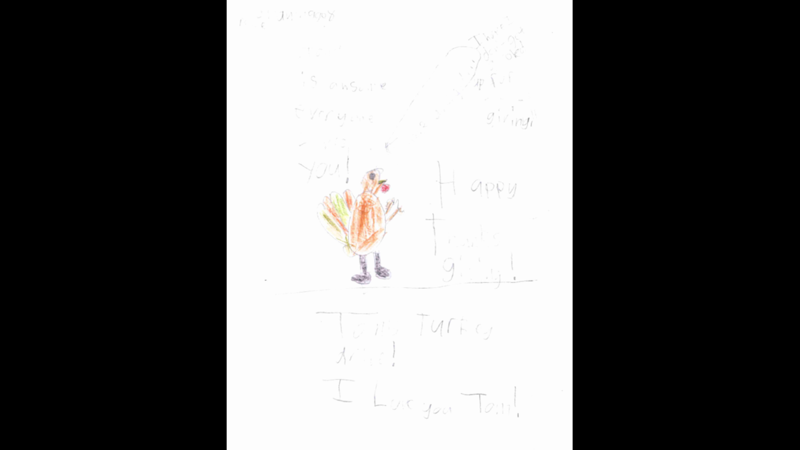 Entry designs and cover letter may be dropped off at any Spokane area Numerica branch, Rosauers locations in Washington or Idaho, or KREM TV, or postmarked by 5:00 p.m. October 19th. 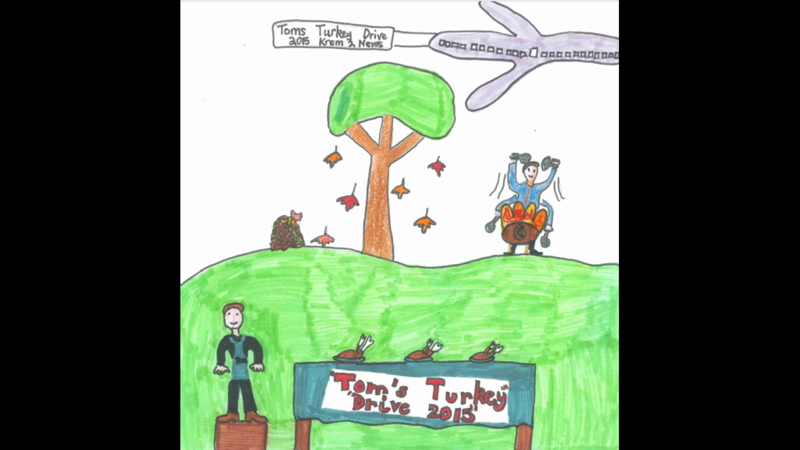 All Drop-Off entries must be received by 5:00 p.m. PT October 19, 2018. Only one entry per stamped envelope. Maximum one (1) entry per person. Sponsor and Administrator will not be responsible for incomplete, lost, late, “postage-due,” misdirected or illegible. All entries become property of Sponsor and none will be returned. Winner Selection A panel of qualified judges selected by Sponsor will judge all eligible entries according to the following criteria: 25% use of fall colors, 25% originality, 25% creativity and 25% inclusion of “Tom’s Turkey Drive.” The ratings scale for each criterion will range from one (1) to ten (10), with 10 being the best score. The contestant with the highest cumulative score will be designated the Grand Prize Winner. In the event of a tie, tied entries will be re-judged on the same criteria listed above. Decisions of judges and Sponsor will be final and binding in all respects. One (1) Grand Prize Winner to be announced live on air during the KREM 2 News at 5p.m or 6 p.m. by November 1st, 2018. 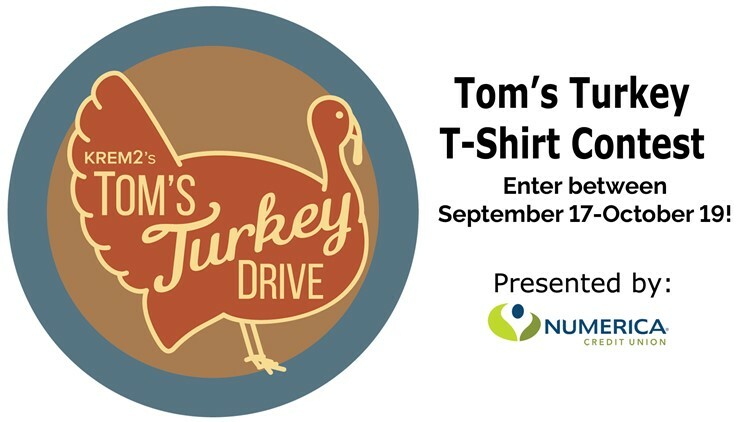 Prizes and Odds Grand Prize: One (1) Grand Prize Winner will receive a $100 savings account at Numerica Credit Union and his or her design will be appear on the 2018 Tom’s Turkey Drive t-shirts, (ARV: $ 100). Odds of winning depend on the number of eligible entries received. Winner Notification and Acceptance. 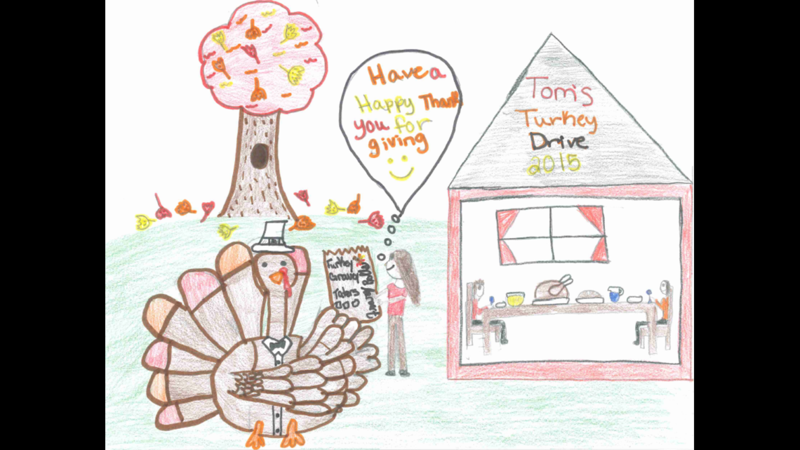 The Grand Prize Winner will be notified between October 22-26, 2018 at the telephone number and/or email address provided on winner’s entry form. Sponsor will call during regular business hours at number provided on entry form and will leave no messages. Failure to reach winner by phone, after 3 attempts or return of prize notification as undeliverable, or failure of recipient to respond to email notification, may result in disqualification of winner, forfeiture of his or her interest in all prizes, and selection of a substitute winner from among all remaining eligible entries. Winners may waive their right to receive prizes. Prizes are non-assignable and nontransferable. No substitutions allowed by winner. Prizes and individual components of prize packages are subject to availability and Sponsor reserves the right to substitute prizes of equal or greater value. Winners are solely responsible for reporting and payment of any taxes on prizes. Winner may be required to complete an affidavit of eligibility/liability and publicity release which must be returned as directed by Administrator or Sponsor. Failure to sign and return the affidavit or release, or to comply with any term or condition of these Official Rules, may result in a winner’s disqualification, the forfeiture of his or her interest in the prize, and the award of the prize to a substitute winner. Except where prohibited, acceptance of any prize constitutes winner’s consent to the publication of his or her name, biographical information and likeness in any media for any commercial or promotional purpose, without limitation the Internet, or further compensation. Prizes not won and claimed by eligible winners in accordance with these Official Rules will not be awarded and will remain the property of Sponsor. Participation. By participating, entrants agree to be bound by these Official Rules and the decisions of Sponsor. Sponsor reserves the right to disqualify persons found tampering with or otherwise abusing any aspect of this Contest as solely determined by Sponsor. In the event the Contest is compromised by a virus, non-authorized human intervention, tampering or other causes beyond the reasonable control of Sponsor which corrupts or impairs the administration, security, fairness or proper operation of the Contest, Sponsor reserves the right in its sole discretion to suspend, modify or terminate the Contest. Should the Contest be terminated prior to the stated expiration date, Sponsor reserves the right to award prizes based on the entries received before the termination date. Any questions regarding the number of entries submitted shall be determined by Sponsor in its sole discretion. Release. Sponsor and Administrator further reserve the right to disqualify any entry that is alleged to infringe on any third-party’s intellectual property rights, or that Sponsor or Administrator deems obscene, offensive or otherwise inappropriate for viewing by a general audience. 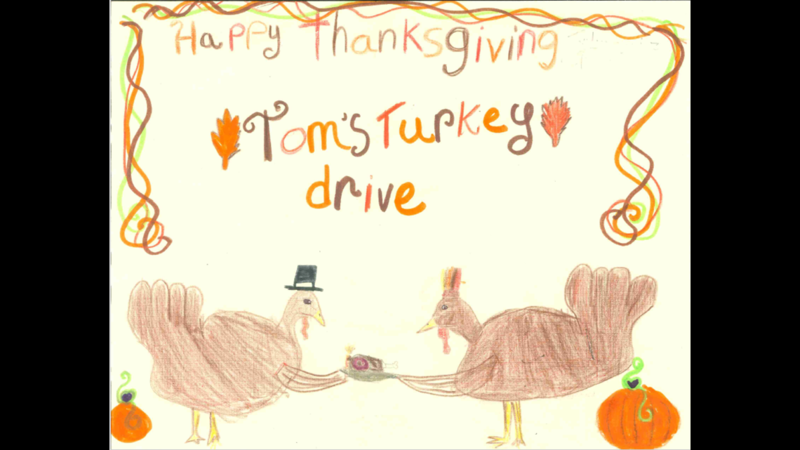 By participating in the Contest, entrants, winners, and their parents and legal guardians hereby release Sponsor, Administrator, Rosauers stores and each of their respective affiliated companies, and advertising and promotional agencies from any and all claims, complaints, disputes, and liabilities in connection with this Contest or the availability of or use of any prize.